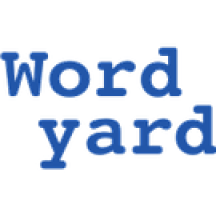 Wordyard / Blogging / Why trust Facebook with the future’s past? Why trust Facebook with the future’s past? Comments weren’t working for a while today. Apologies to anyone whose words got eaten! Should be working again now. An odd moment during the Facebook Places rollout last week has been bugging me ever since. 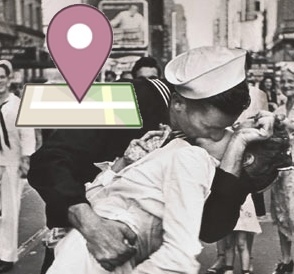 Facebook not only wants to be the digital sovereignty toward which all other geolocation apps direct their figurative roads, it also wants to be the Web’s own omniscient historian. Yeah, that’s dope all right. Doper still would be for Facebook to begin performing this role of “omniscient historian” or “memory collector” right now. As I’ve been arguing for some time, Neither Facebook nor Twitter is doing a very good job of sharing the history we’re recording on them. Everything we put on the Web is both ephemeral and archival — ephemeral in the sense that so much of what we post is only fleetingly relevant, archival in the sense that the things we post tend to stay where we put them so we can find them years later. Most forms of social media in the pre-status-update era — blogging, Flickr, Delicious, Youtube and so on — functioned in this manner. They encouraged us to pile up our stuff in public with the promise that it would still be there when we came back. As Marc Hedlund put it: public and permanent. Meanwhile, Facebook is even less helpful. Lord knows what happens to the old stuff there. Is there any way to find what you wrote on Facebook last year? I hope so, for the sake of the millions of people who are chronicling their lives on Mark Zuckerberg’s servers. But I’ve certainly never been able to find it. In fact, Facebook is relentlessly now-focused. And because it uses its own proprietary software that it regularly changes, there is no way to build your own alternate set of archive links to old posts and pages the way you can on the open Web. Facebook users are pouring their hearts and souls into this system and it is tossing them into the proverbial circular file. All of which led me to wonder what Facebook could possibly be thinking in asking us to imagine Places as a future repository for our collective history. After all, Facebook could be such a repository today, if it actually cared about history. It has given no evidence of such concern. Maybe in the future all manner of data will, as Cox put it so charmingly, cause our “little magical things to start to vibrate.” I mean, dope! But if my kids are going to find out about the site of their parents’ first kiss, I’ll have to provide that information to someone. I don’t think it will be Facebook. I agree that keeping an archive of what is going on with Facebook is an important part of our history. I am working with several clients that want to get at and build an archive the Facebook, Twitter and/or LinkedIn accounts of their representatives as part of their mandated retention requirements. I have often wondered if archivists/historians will want to start archiving and exporting their social media histories with tools similar to what we offer. It will be interesting to see how it all comes together as this question keeps getting raised by those in the archiving community. Very nice read. Thank you so much for the article. Perhaps this should be the Portability Policy’s 11th question. “We publish a retention policy that says how long we keep your data in a way that’s straightforward to recover.” Twitter stashes old tweets in backup systems. Monster doesn’t keep old job listings. And this data isn’t available to Archive.org for public or private backup. Whether your sites keep your data or purge it, they should at least tell you what their practices are, notify you when they change, and define paths to retrieve your data before they remove it.